Most people try to make themselves more environmentally friendly with big investments like hybrid vehicles or better recycling habits. These are highly impactful, but it’s almost as impactful if you go through your house, room by room, and try to make each room sustainable in its own right. This strategy is especially effective for two reasons. First, it gives people an actionable and manageable task; going “green” in a single room is far easier and less expensive than trying to convert your life all at once. Second, it allows you to be far more thorough, giving an excuse to comb through the details of your home and lifestyle to find more ways to improve your habits. In this article, we’ll be focusing on your bedroom—so what can you do to make your bedroom more sustainable? Let’s start with the centerpiece of your bedroom: the mattress. Consider upgrading yours to a “green” mattress, which is made from sustainable organic materials. These mattresses rely on plant-based and natural materials, which many people find more comfortable. They’re biodegradable, so they won’t produce much waste when you’re done with them, and are made with less intensive manufacturing processes. Buy bamboo sheets. Next, consider upgrading your sheets to bamboo. Bamboo may seem like a strange choice of material for bed sheets, but it’s actually an incredibly versatile plant. Bamboo sheets are soft, and have a lightweight feel, so you’ll definitely be comfortable with them. Best of all, they’re produced using environmentally friendly processes and transparent manufacturing, so you know exactly what’s gone into your linens. Buy locally sourced clothing and sleepwear. If you’re like most people, your bedroom is equipped with a closet, where you store the majority of your clothing. If you buy your clothing from a mainstream department store or something similar, you probably don’t realize you’re sourcing artificial materials from all over the world. If you want to make a smaller environmental impact and support your city at the same time, consider buying locally sourced clothing and sleepwear from stores in your neighborhood. Install LED or fluorescent bulbs. If you haven’t yet, try to convert all your bedroom lights to LEDs. Incandescent bulbs use 60 W of electricity and last for about 1,200 hours, while LEDs use 7 W and last 25,000 hours or more. Fluorescent bulbs are better than incandescent as well, with 14 W of energy consumption and an 8,000 hour lifespan, but LEDs are the best choice for your money. Most people end up preferring the bright, pure white light that LEDs produce anyway, resulting in a better atmosphere for your home. 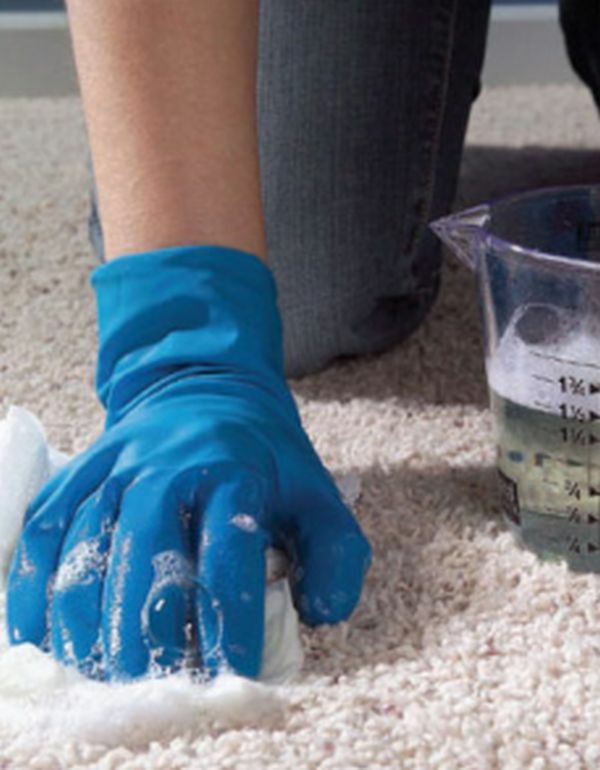 Eventually, you’ll need to give your bedroom a good cleaning. Cleaning products often use harsh chemicals that aren’t good for the environment—or your pets. Instead, try using all-natural cleaning products, or ones that you create yourself from natural ingredients. Upcycle your décor. Your bedroom should be a place that reflects your taste and personality, but décor can be both cumbersome and expensive. Instead of wasting money on environmentally impactful pieces, consider upcycling old items and infusing them with a dash of your own creativity; for example, you could use old bottles as centerpieces, or decorate the walls with old car parts. Buy used furniture when possible. Every new piece of furniture you buy puts a burden on the environment, both because of the materials that new furniture demands and because of the shipping costs of getting the furniture to your location. Whenever you can, buy your furniture used; look at thrift stores and garage sales if you’re interested in striking the best deal. A little TLC can take care of any scuffs and scratches, and many antique pieces of furniture can add charm with their imperfections. Just make sure you don’t buy a used mattress! You’ll note that many of these strategies can be applied to multiple rooms of your house. If you’re feeling ambitious, you can start reaching into other rooms by applying these same changes to them. Pick one room at a time so you don’t feel overwhelmed, and start brainstorming about what else you can do throughout the house. Any effort you make, no matter how small, will reduce your carbon footprint, and take us all one step closer to a sustainable society.